For hundreds of years, consumers had a specific brick-and-mortar location in mind when the necessity for a product arose. If they needed groceries, they went to the market or before markets a fruit stand. If they needed a new shirt, they went to the department store. If they needed to replace a light bulb, they went to the hardware store. Then along came the Internet and the subsequent boom of online retailers and e-commerce, which not only changed the consumer journey, but also made change very difficult for brands with heavy equity in old distribution models. The Amazon Effect is the impact the digital marketplace has on the traditional business model regarding consumer expectations and the new competitive landscape. Consumers now expect their buyer journey to be entirely frictionless and immediate, regardless of the particular industry or product in question. This has in turn raised the status quo for a brand relative to both direct competition and indirect alternatives. For example, Amazon does not directly compete with a salon chain, as consumers are unable to purchase a haircut from the web platform. However, Amazon’s convenience, value characteristics and extensive network have influenced consumer expectations, meaning they will still compare the experience they have at the salon to the high bar set by Amazon. 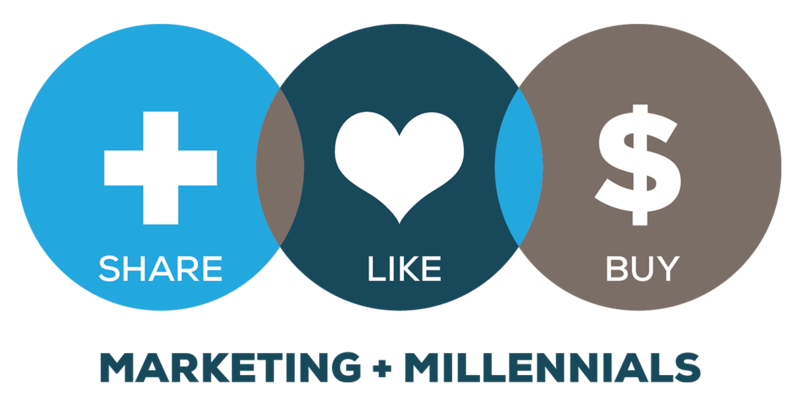 Social Circle – Is your brand part of a consumer’s close social circle (not just social media)? Self – Does your brand have an emotional connection with your consumer? Innovative – Is your brand in a constant state of beta? Trusted – Does your brand put the consumer’s needs first? Purposeful – How does your brand add good to the larger community? Accessible – Does your brand simplify the lives of consumers? Instead of being isolated to a particular category, these mindsets are evoked in all industry verticals, from CPG to retail to finance. These mindsets are also not isolated to one generation. As the largest generation today, the Millennial influence is permeating other generations at an increasingly accelerated rate. In fact, Gen X puts almost equal value on the mindsets. As part of the study, we looked at a series of benchmark brands. This included a list of brands that are recognized as being Modern Brands or brands that have mass appeal. The list included: Amazon, Apple, Netflix, Tom’s Shoes and Uber. The goal for including these brands was to see how they perform against the millennial mindsets knowing they are the best-in-class brands today. In our research, we found that Amazon outperformed all other benchmark brands (others included in the study: Apple, Netflix, TOMS Shoes, Uber) not only across mindsets, but also across generations because of its consistent ability to reduce friction in the consumer journey and stay at the forefront of market innovation. As brands continue to connect with a modern consumer market, it will be imperative that they follow Amazon’s path and deliver across the Mindsets in order to maintain relevancy and develop brand relationships.